Enjoy spectacular views from this stunning bayfront contemporary offering 50 feet of bulkheaded waterfront and deep water dockage. Non-reverse living design captures bay and harbor views while affording smart design with 5 bedrooms, (2 en suite), 3 full bathrooms, a powder room with tumbled mosaic marble floor, plus 3 car garage. With open living spaces and superb decking enjoy gatherings with the family and friends while watching the kids crab off your dock. Home features a gourmet kitchen with stainless-steel appliances, all granite counter surfaces, hardwood floors, a central vacuum system, alarm, two zone central air, two water heaters, a covered deck area, custom stone pavers amidst lush landscaping. 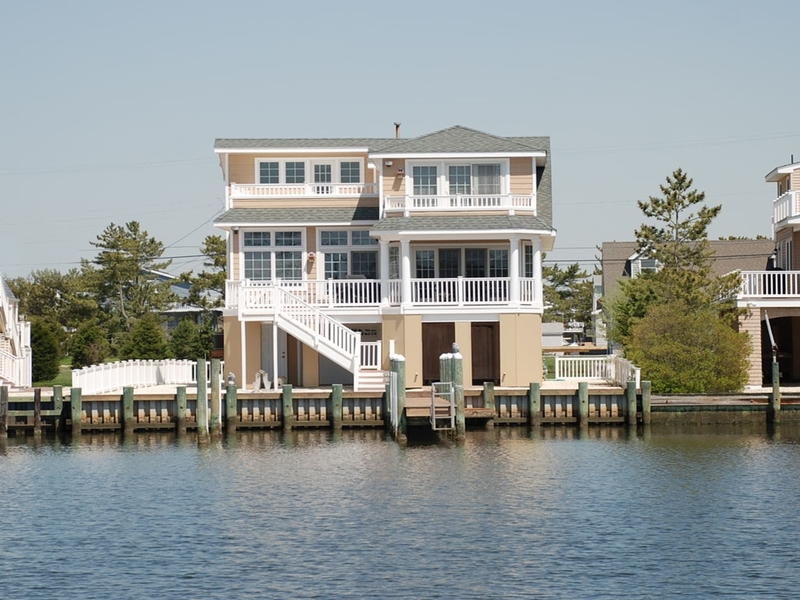 The perfect retreat to enjoy boating, sailing, and all of your water toys. Easy walk to the beach and Sunset Park too. Never rented and sold tastefully furnished by Ethan Allen. Pack your bags and simply move in.